The breakfast is served in a basket at the time you wish at your door and can be taken wherever you want; in bed, in the studio or in garden if the weather is nice. Rent a minisuite for one week in Annes Hus. 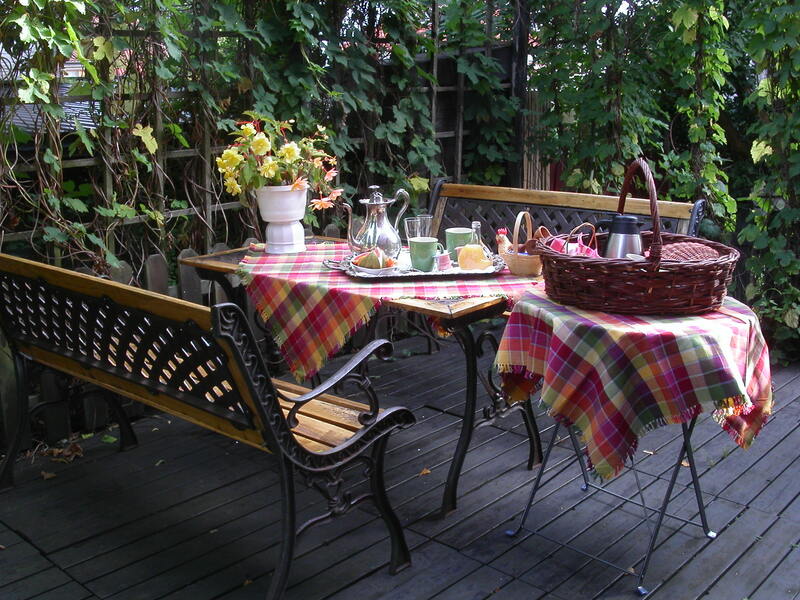 Stay in minisuite Viola have access to small kitchenette, garden and sauna. In the room you have TV, VCR, CD player. 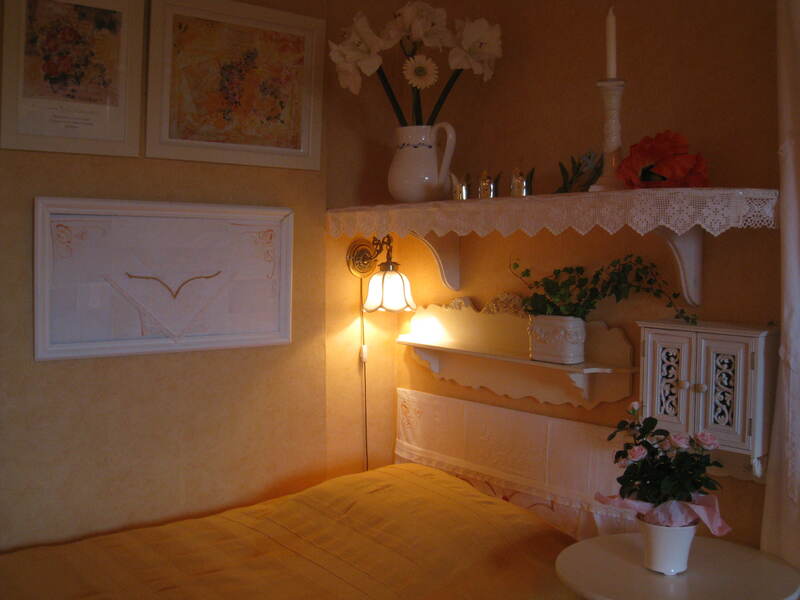 The price 5800 SEK/ week (Sunday-Sunday) includes sheets and towels and final cleaning. Breakfast can be ordered for 80: -/pers. The room is equipped with TV, VCR, CD player, DVD, refrigerator, cutlery,plates and glasses. In the house there is a minikichen with a small stove and a microwave. For an extra person in the room SEK 200 per night will be charged.